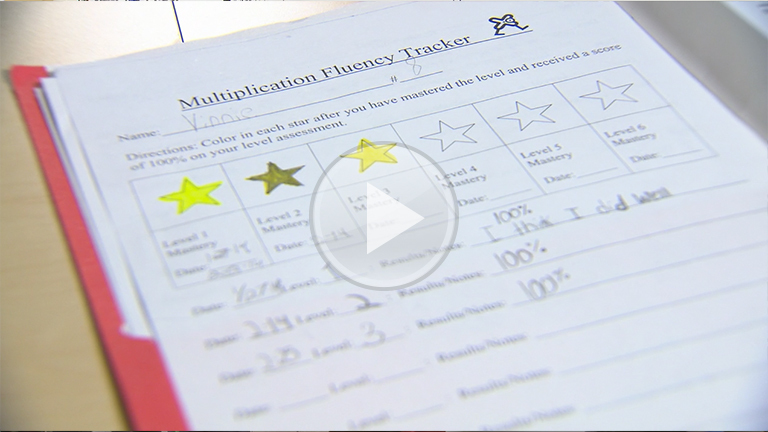 Hear two Grade 4 students from Beechwood Elementary School talk about their target and fluency trackers, which help them understand where they are in their learning. What are the benefits of having students track their learning? How does this process build students’ confidence about owning their learning? How do you encourage your students to track their learning vs their grades? What will you put in place to enhance the way your students track their data? Enroll in the Collecting and Documenting Evidence module. Enroll in a FIP in Action module for mathematics for more ideas.